How to Afford a Vacation Every Year - Women and Money Inc.
Not everyone can afford to take a vacation every year, but many people don’t think they can when they actually can! If you love going on vacation and wish you could more often, read our strategies to find out how. If you do not have paid vacation time through your job, taking a vacation every year is probably not possible. But you can still enjoy some “staycations” and short getaways over your days off, so read the following tips to help you afford them. If you have paid vacation time of 1 week or more per year, but often spend it at home yearning for a real vacation, read on. Our first tip for affording a vacation every year is to NOT ‘go now pay later’. Do not use credit to pay for a vacation. With credit comes interest, and although credit allows you to take a vacation in the near future, the interest actually inhibits you from taking more vacations in the future. What you spend on repayments and interest charges for the next year while you pay back your vacation purchase, you could be using to save up for the next one, and doesn’t that sound a lot more appealing? So if you can’t borrow money to go on vacation, you need to have the funds first. An automated savings plan specifically for your vacation is the best choice. Another option may be to pay by installments with your travel agent, if that is available. Check if there are fees or any increased costs for this option; if you are not a good saver this could be worth it but if you can follow an automated savings schedule that will be the cheapest route. Work out how much you put aside each month for your next vacation. This will be determined by the next strategy. Affordability is often not about a lack of funds, but rather it is about priorities. So if taking a yearly vacation is important to you, make it a priority in your budget over other less important expenses. This means cutting back on the little things that matter less. Trim down your entertainment and eating out spending, your spa/salon trips, the little daily expenses that are meaningless when compared to a fabulous vacation. If trimming small expenses still won’t make a dent in your vacation savings, perhaps a more significant lifestyle change is necessary: Changing your mode of transportation; downgrading your telecommunications services; settling for more second-hand or dated things rather than having the latest and greatest. We all have choices, the way to afford a vacation fund will depend on the finances and preferences of each individual. Now that you know what you can afford to save, you need to find vacation destinations that fit within that budget. Choose lower cost locations, places off the beaten path that may offer more for your money, or the same for less money rather. Ask a travel agent, search the internet and try to think outside the box for places that offer the best vacation deals. Narrow your destination choice down to 2 or 3, and then go to the next step. Once you have your destinations narrowed down, do a lot of research about the most affordable time to go that you can still enjoy the vacation you are seeking. 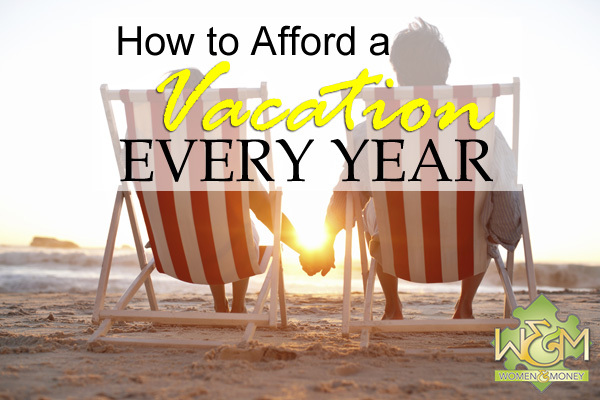 You can keep vacation costs down by going during the off-season, or non-peak season at least. Try a skiing vacation in the spring or a sun vacation in the fall, explore some historic European cities in the winter and a mountain retreat in the summer. You have to look at both the flight and accommodation prices to get a true picture of the savings. Sometimes flights are higher during off-peak season while accommodation is cheaper. On that note, compare the costs for different lengths of vacations. 1 week is standard, but sometimes going monday to friday (avoiding the weekend) can make a vacation much more affordable. Also flights may be cheaper beyond the 1 week return, so weigh that against the cost of longer accommodation. And watch out for holidays (both at the destination and from tourist home locations). Demand for vacation locations increase over holidays and so do prices. After you decide where to go and when, find the best travel agency or website to book it through. You might not choose the cheapest provider, as there are other factors to consider, but you will have a good idea of the market value and avoid overpaying. When you book your vacation also affects the price (and affordability). If you have a flexible schedule and funds in your account, keep your eye out for last minute travel deals that give steep discounts. But for the most part, the early bird gets the worm (discount) and the earlier you book before your vacation the cheaper it is. You will likely be able to pay a deposit at booking and the remainder closer to the date, giving you time to save for it. When booking well ahead, make sure there is a fair cancellation policy in case of emergency or change in circumstances. This entry was posted in Blog, Personal Finance, Saving Money. Bookmark the permalink. Both comments and trackbacks are currently closed.